NBC Bay Area Senior Investigative Reporter Stephen Stock examines the latest runway problems at San Francisco International Airport. NBC Bay Area’s Investigative has been covering the continuing problem of sinking land under SFO for months. The Bay Area’s busiest airport is built on landfill, creating problems for the operations staff that have increased during the last two years. These sudden holes in the runways and taxiways at San Francisco International Airport are a direct result of the land under the airport sinking. It’s a problem that sources tell Senior Investigative Reporter Stephen Stock has become more frequent in the last two years. In February, NBC Bay Area tracked runway repair records from 2016 through 2018 and found 66 work orders. That works out to nearly two dozen repairs on various runways each year. The location with the most problems and repairs is in the same location as the deep hole found by airport workers on Thursday, at the intersection of runways 1R and 28L. 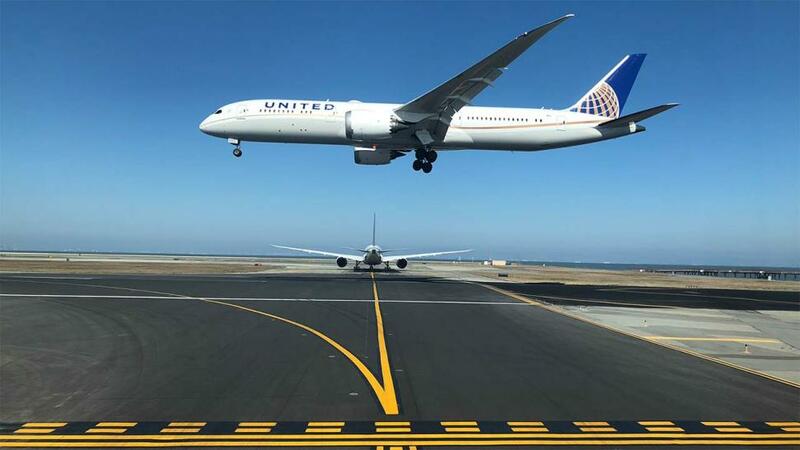 Runway repair costs at San Francisco International Airport totaled at least $457,526.82 from 2016-2018, according to SFO work orders obtained by NBC Bay Area. Points are based on approximate locations described in the work orders and do not reflect the exact boundaries of cracks or other imperfections. Cockpit footage of a commercial jet landing at SFO after a recent rainstorm shows the challenge to keeping up with the phenomenon scientists refer to as subsidence is apparent. S-F-O officials say they know they will always be dealing with the sinking land because much of the airport is built on landfill which is more unstable than other geological formations. From the cockpit you can easily see repair patches everywhere. Water ponding on the taxiways and aprons. show clear signs of the sinking and shifting ground underneath the runways according to experts who spoke to NBC Bay Area. That’s what happened with this latest hole found by inspectors around 7 in the morning on April 11, 2019. The new impression opened up at the site of an old hole and repair forcing workers to excavate a 20 foot by 40 foot patch from the previous repair and fix it again. The Investigative Unit’s data team mapped every repair since 2016 and found the majority of the problems are clustered along runway 28 L, specifically right where this latest 10 inch by 4 inch deep hole was found, at the intersection of runway 1R. NBC Bay Area discovered some runway or portions of a runway at SFO were closed down for repairs for a total of 90 days in 2018. That’s one out of every four days of the year. Last year alone according to the flight tracking site www.flightaware.com the repairs played a role in 11 hundred cancelled flights and more than 13 thousand delays. And this is likely to continue happening as SFO lives with a changing climate, rising sea levels and an airport built on top of landfill that will continue to sink and settle.